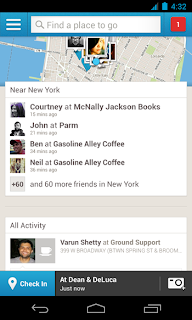 The Foursquare for android app just got an update, which brings a few new features such as the option of finding your friends on a map and also the ability to find the hottest spots nearby. 1. Finding places with Explore is easier than ever. 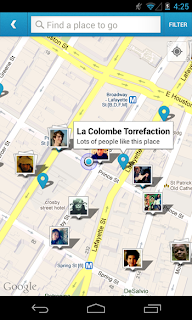 One thing we’ve noticed in the past few months is that people on Android are using Foursquare to search for places to go. So, we built a smoother search experience and moved Explore to the top of the home screen to make it easy to quickly find a place. 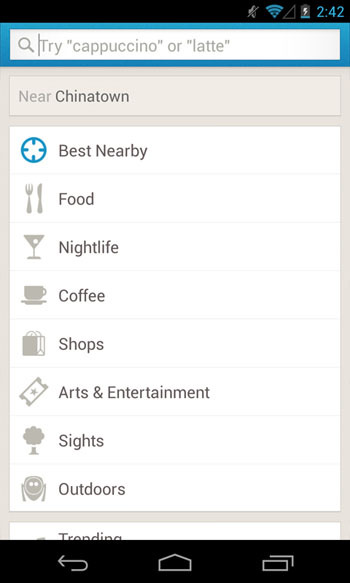 Tap the search bar to find “nachos,” “Mexican,” or “margaritas,” or browse categories like coffee, food, and nightlife. Not sure what you want? 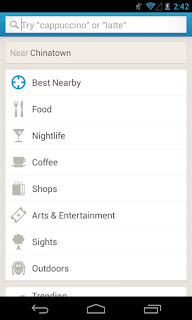 You can still find all our top picks for interesting places in the area by choosing the “Best Nearby” option when you tap the search bar. 2. 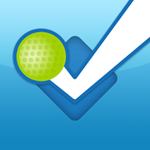 Quickly see friends and great places nearby. Now when you open up the app, you’ll see a map up top that shows friends who are checked in nearby, along with places we think you’ll like. Tap on the map to expand it, and zoom around to see even more of your friends. We’ve also moved your nearby friends to the top of the stream so it’s easy to get a sense of who’s around. 3. Get to your to-do list and other essentials with the left hand drawer. Instead of three tabs at the bottom of the app, you’ll now have a drawer (tap the top left corner of the screen) where you can easily get to your profile, lists, and settings. 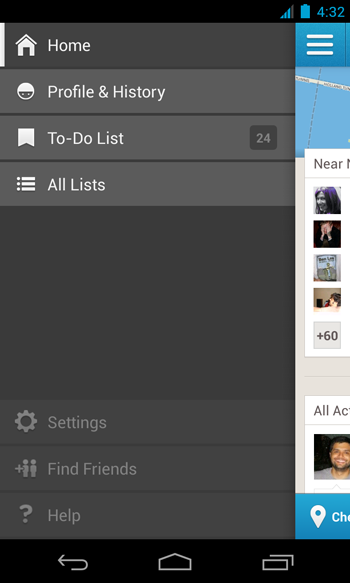 Now, when you save a great new place to your to-do list, it’s just a single tap away. There are other things you’ll notice, like the check in button’s new home on the bottom left, a simpler way to add friends, and every time you check in. 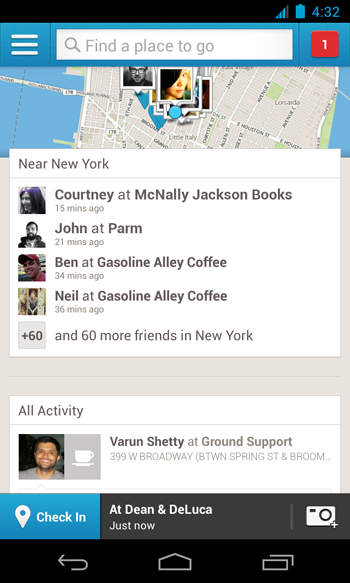 And, we have more updates coming down the line, including an even better personalized map on your home screen. As always, we’ll continue to iterate and make improvements based on what people like and don’t like.